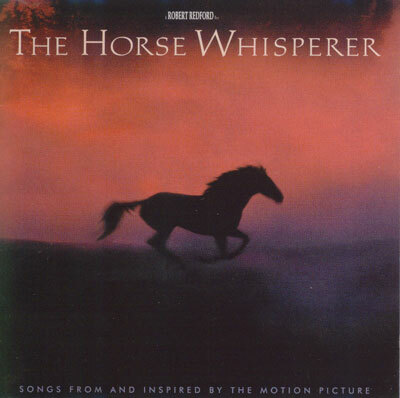 Soundtrack from "The Horse Whisperer"
Robert Redford truly outdid himself with "The Horse Whisperer". The movie centers around a teenage girl who is struck by a truck while riding her horse with some friends. In an effort to rehabilitate both her and her severely injured equine companion, the girl's mother arranges for her to spend time in Montana with Tom Booker, an old Cowboy who can communicate with horses. Together, all three develop a lasting friendship in a world where the West is still wild and free. Redford pulled out all the stops when it came to this movie. The casting is superb, and the soundtrack is also loaded with beautiful, authentic Western music as pure as a mountain stream. Those of you who are familiar with things Western might notice that the character of Smokey is played by none other than Don Edwards.